It is Pennsylvania law to have a yearly state inspection, some counties require emissions testing. You can find a sticker on your BMW’s front windshield that displays the previous inspection month. This inspection month represents the deadline you need your BMW inspected by before that sticker expires. The allotted time to have your BMW state inspection completed is the deadline month along with the two months prior. As per PA law, inspections must be conducted by a service facility with an official inspection station authorized to inspect vehicles and issue official certificates of inspection. 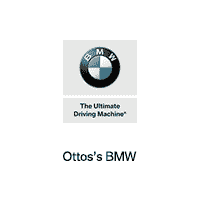 Otto’s BMW is an official inspection station that conducts legitimate safety and emissions inspections by performing a comprehensive check on the required vehicle components listed below.